Luke Wilson is an American actor popularly known for his roles in the films such as ‘Old School’ and ‘The Royal Tenenbaums’. Check out this biography to know about his childhood, family life, achievements and other facts about his life. Luke Wilson is an American actor popularly known for his roles in the films such as ‘Old School’, ‘The Royal Tenenbaums’, ‘Legally Blonde’ and ‘Anchorman: The Legend of Ron Burgundy’. 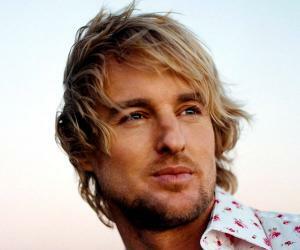 He is the younger brother of the popular actors, Andrew Wilson and Owen Wilson. While growing up, Luke was more interested in sports and discovered acting during his time in the Occidental College. His career in films began with ‘Bottle Rocket’, a short film that was co-written by his brother Owen. The film was widely acclaimed at the film festivals and was converted into a full length film later on. Luke won the Lone Star Special Award for Debut of the Year for his performance in ‘Bottle Rocket’. He then starred in commercially successful films such as ‘Home Fries’, ‘Blue Streak’ and ‘Charlie’s Angels’. He had a recurring role in the popular television series ‘That '70s Show’. He is also known for his active romantic life. He dated the American actress Drew Barrymore in the beginning of his career in Hollywood and has had a number of relationships thereafter. 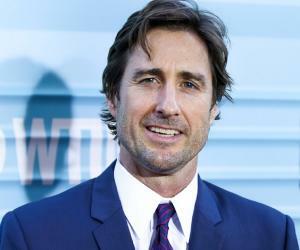 Luke Wilson was born on September 21, 1971 in Dallas, Texas. His father, Robert Andrew Wilson, is an advertising executive and his mother, Laura Wilson, a photographer. Luke is the younger brother of actors Andrew Wilson and Owen Wilson. He, along with his brothers attended St. Mark's School of Texas and was named class president in the first year itself. He was particularly interested in sports while growing up and discovered acting during his time at Occidental College. 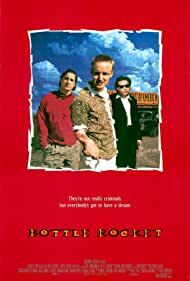 Luke Wilson’s career in films started with a lead role in a short film, ‘Bottle Rocket’ (1994) which was co-written by his brother, Owen Wilson. 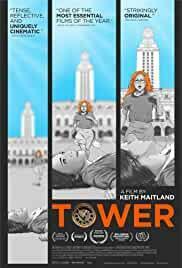 The film was appreciated at several film festivals and was made in to a full length film later in 1996. He starred in ‘Bongwater’ in 1997 and opposite Calista Flockhart in ‘Telling Lies in America’ the same year. He also made a cameo appearance in the horror film, ‘Scream 2’ in 1997. He fell in love with the actress Drew Barrymore around this time and the two appeared together in the films ‘Best Men’ (1997) and ‘Home Fries’ (1998). He also starred in ‘Dog Park’, ‘The X-Files’ and ‘Rushmore’ in 1998. 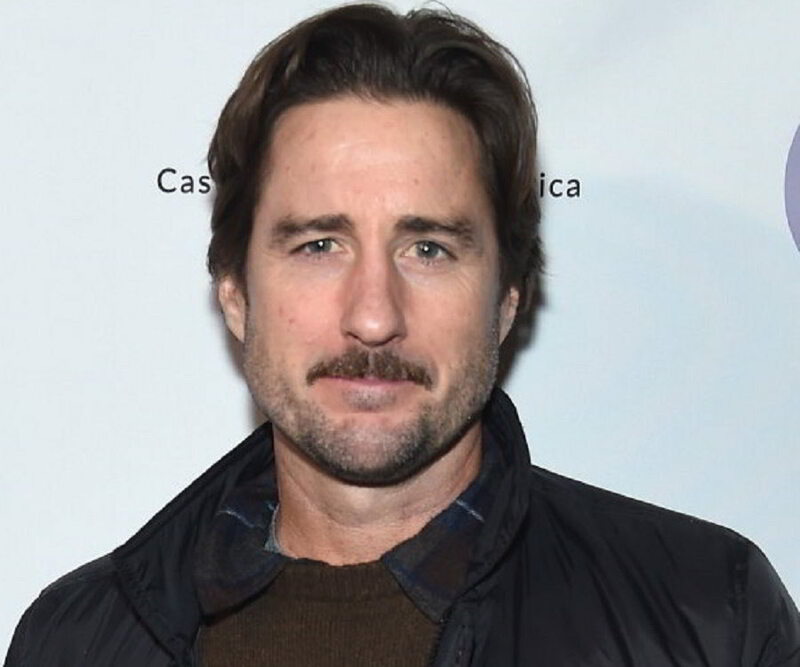 Luke Wilson played the role of Detective Carlson in his 1999 release, ‘Blue Streak’ and also appeared in ‘Kill the Man’ (1999), ‘My Dog Skip’ (2000) and ‘Committed’ (2000). He gave commercial hits such as ‘Charlie's Angels’ in 2000 and ‘Legally Blonde’ in 2001. 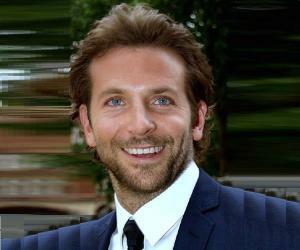 He received positive reviews for his performance in the films ‘The Royal Tenanbaums’ (2001) and ‘Old School’ (2003). In the 2000s, he also appeared in ‘Soul Survivors’ (2001), ‘The Third Wheel’ (2002) and ‘Masked and Anonymous’ (2003) in between. Luke had a recurring role in the television series ‘That '70s Show’ during 2002-05. Luke Wilson starred in the sequels ‘Charlie's Angels: Full Throttle’ and ‘Legally Blonde 2: Red, White and Blonde’ in 2003 and gave a hit comedy ‘Anchorman: The Legend of Ron Burgundy’ in 2004. 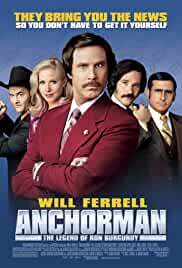 He also acted in ‘Around the World in 80 Days’, ‘Wake Up, Ron Burgundy: The Lost Movie’ and ‘Entourage’ in 2004. He acted in, directed, produced and wrote ‘The Wendell Baker Story’ in 2005. He appeared in ‘Mini's First Time’, ‘My Super Ex-Girlfriend’, ‘Jackass Number Two’ and ‘Idiocracy’ in 2006. He starred in the crime comedy ‘You Kill Me’ and horror thriller ‘Vacancy’ in 2007. 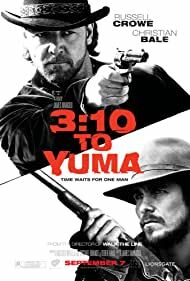 Luke Wilson acted in many movies over the ensuing years, including ‘Henry Poole Is Here’ (2008), ‘Tenure’ (2009), ‘Death at a Funeral’ (2010) and ‘Middle Men’ in 2010. He appeared in fifteen episodes of the television series, ‘Enlightened’ from 2011-13. He also starred in ‘Meeting Evil’ and ‘Straight A’s’ in 2012. He appeared in one episode of ‘Drunk History’ in 2013 and acted in the music documentary film ‘Move Me Brightly’ the same year. He then starred in ‘The Skeleton Twins’ (2014), ‘Ride’ (2014), ‘Dear Eleanor’ (2014), ‘Playing It Cool’ (2015), ‘Meadowland’ (2015), ‘The Ridiculous 6’ (2015), ‘Concussion’ (2015), ‘Outlaws and Angels’ (2016), ‘All We Had’ (2016), ‘Approaching the Unknown’ (2016) and ‘Roadies’ (2016). He gave his voice to ‘Rock Dog’ in 2016. Luke is currently working on ‘Measure of a Man’ and ‘Brad’s Status’ which are scheduled to release in 2017. He has co-written a biopic of the Wright Brothers with his brother Owen and also plans to star in the same. 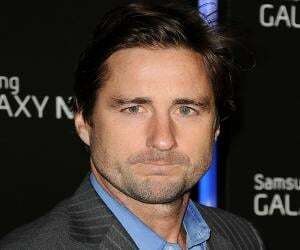 Luke Wilson made his film debut with ‘Bottle Rocket’ in 1996 which had been adapted from a short film of the same name in which Wilson had earlier starred. He received Debut of the Year from the Lone Star Film & Television Awards for his performance. 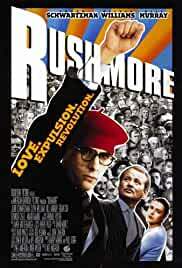 He is best known for his comedies ‘The Royal Tenanbaums’ (2001) and ‘Old School’ (2003). The films received widespread appreciation and several nominations as well. 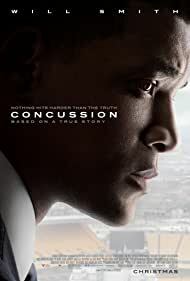 He acted and also directed and produced the film ‘The Wendell Baker Story’ in 2005 which received a lot of critical acclaim. Luke Wilson won the Lone Star Special Award for Debut of the Year for his performance in ‘Bottle Rocket’ in 1996. 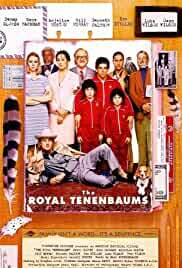 The cast of his film ‘The Royal Tenanbaums’ was nominated in the Awards Circuit Community Awards as Best Cast Ensemble in 2001. He also got nominated for the MTV Movie Award for Best On-Screen Team for ‘Old School’ in 2003. He won the Festival Award at Vail Film Festival for his film ‘The Wendell Baker Story’ in 2005. Luke was inducted into the Texas Film Hall of Fame during their awards ceremony on March 12, 2015 in Austin, Texas. Luke Wilson has been in a number of relationships and his affair with the American actress, Drew Barrymore at the beginning of his career made it to the headlines very often. He has also dated the American model, Joy Bryant, and actress, Gwyneth Paltrow. He has had romantic encounters with Alison Eastwood, Audra Lynn and Jennifer Walcott as well. He has never been married and is currently single. Luke Wilson is a member of Bel Air Country Club. 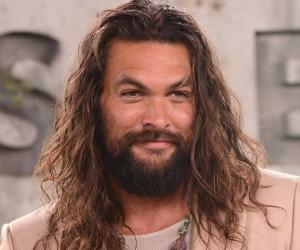 He and his brother, Owen Wilson, were originally meant to play the Malloy brothers in ‘Ocean's Eleven’ in 2001, but dropped out to make ‘The Royal Tenenbaums’, the same year.